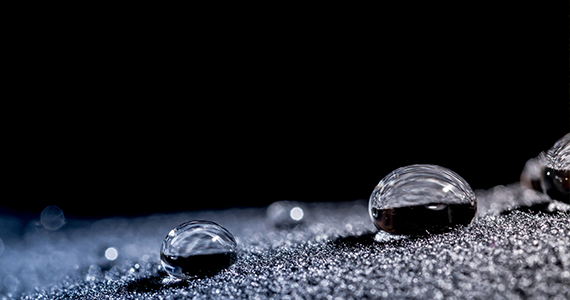 Our client, a leading supplier of liquid repellent nano-coating technologies, works directly with original equipment manufacturers to make materials and devices water resistant, improving their reliability and enabling them to survive liquid exposure in everyday accidents. Having experienced rapid growth over recent years, the Senior Management Team identified the need for independent support with applying roadmapping to support their future strategic planning. They also wanted to incorporate training to the process enabling individuals in the organisation to use the technique for other areas in the future. The senior team acknowledged a shared sense of direction for the organisation in the longer term was needed as well as a way to get different departments on the same page moving forward. They also wanted a more structured product release process; in the past, feedback from individual customers would result in a number of new product developments, multiple incomplete projects and a long time to market which was proving costly in terms of technical resource. Following a recommendation, they looked to roadmapping and the IfM for help in overcoming the challenges faced. T-Plan (technology plan) roadmapping focuses directly on product-technology planning and details a product’s potential functions and features and the specific technology solutions for developing them. The approach facilitates the development and communication of a product-technology strategy, with an integrated view of the market, meaning the evolution of a product is focussed on market drivers and customer needs. Multidisciplinary participation by both technical and commercial functions supports communication, linking technologies, capabilities and resources with products and services, through business and market drivers. Members of the Senior Management Team initially attended a roadmapping course to understand roadmapping but also about working with the IfM. Attending the course gave them confidence in the IfM’s methods as well as gaining reassurance when meeting other organisations on the course, who were facing similar challenges, that it was the right approach for them. The ‘fast-start’ approach to roadmapping, developed at the IfM, provides a quick, efficient way of evaluating the potential benefits of roadmapping. Initially focussing on one of the their new products, they used the ‘fast-start’ approach to test technology roadmapping before committing further resource, significantly reducing the risk for the organisation. Led by Industrial Fellows from IfM Education and Consutancy Services, Andi Jones and Michèle Routley, a series of four, half-day workshops were conducted. Each workshop involved a core team of 8-10 people from the Executive Team as well as members of the engineering, technical and customer-facing teams. Having the right spread of people in the workshop was key; striking a balance of representation from the whole organisation to ensure there was no bias to the workshop outcomes. It was important to engage relevant employees at each stage, so that each group could understand the reasons behind the decisions being made and get on board with the process. For example, the engineers could understand how their new product ideas would behave in the end marketplace based on the discussions in workshop 1. The workshops were staggered across a period of two months and were planned to accommodate the organisation’s multiple international locations and the complexities of getting the right people face-to-face in one room at the same time. Some of the workshops took place around existing meetings and for the first time conference calling was used successfully where workshop participants were unable to attend in person. Once the workshops were complete the findings were compiled into a first draft technology roadmap, bringing together outputs from each of the different workshops. This was then presented back to the Executive Board by staff members involved, with coaching provided by IfM ECS Industrial Fellows. For our client, the roadmapping process crystallised their thinking in a clear and useable format and facilitated valuable discussions across the organisation. It has also been important in aiding decision making for senior management as any new technical projects on the roadmap are aligned with market segments and values, meaning in future it is difficult to justify a new project if the market doesn’t value it. As well as the roadmap itself, outputs also included a comprehensive SWOT analysis produced as part of workshop one as well as a detailed account of the discussions from each workshop. Both outputs allowed them to reflect on why decisions were made at a later stage and help prioritise projects going forward. Following the workshops, and to keep momentum going, the new findings from the roadmap have been communicated to the wider organisation through a series of small group workshops as well as embedding updates in quarterly sales meetings. The workshops have aided further discussion with teams that may not have already been exposed to the process, helping more individuals feel part of the process and also bringing new ideas to the table. 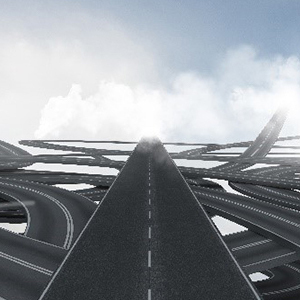 Further to this, some teams in the organisation who were previously uncertain of the method have begun to develop their own roadmaps which have been adding valuable ideas and thinking to the original roadmap. Although the initial ‘fast-start’ approach was complete for one product, our client’s roadmapping journey had only just begun. The initial ideas and actions presented in the first roadmap were considered by the Executive Board, including which products to invest in and what additional resource was going to be required. It became apparent that further product roadmaps were going to be needed for all of the organisation’s product portfolio before the Executive Team could make any final decision and plan resource accordingly. They were able to quickly apply the roadmapping techniques they had learnt for their other products, further customising the process further to get the results they needed. They adjusted the timeframes and worked through some sections of the workshops quicker as they had a better understanding of the process and which parts were relevant to their specific products. They also adapted the participants in the workshops, involving the Executive Team only in workshops one and four, meaning they were there for the kick off discussions and the presentation of the findings. The core team was therefore made up of on-the-ground staff with each stage of the workshops being documented ready to present back to the Executive Team at the end. For our client the roadmap is not a finished article by any means, it is a topic for continuing conversation for them to have about their products and how they think about future technological investment. Now working through the roadmapping process for other products they have a more joined up approach to their product-technology planning. How can the IfM help you? If you would like to discuss how technology roadmapping can help your organisation, please contact us to arrange a call with a member of the IfM Education and Consultancy Services team.